The end of last week saw ZTE and MPEG LA settle their dispute before the Düsseldorf Patent Court. Both parties refused to comment, but the results speak for themselves - ZTE Germany has recently started selling mobile phones again via its website. 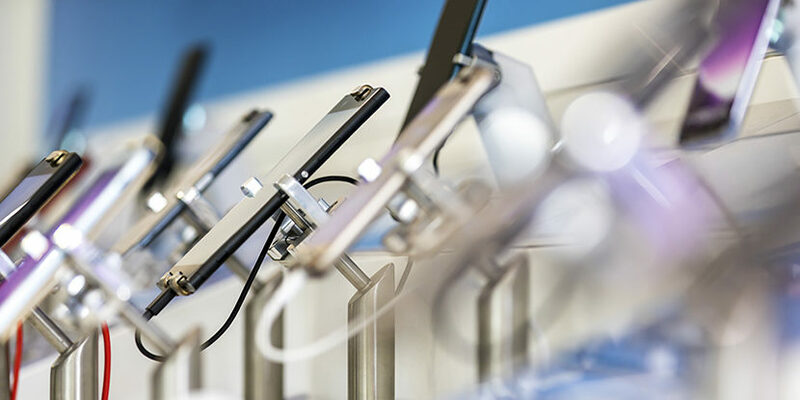 The appeals against four infringement rulings were withdrawn by the Chinese mobile phone manufacturer, as confirmed by a spokeswoman of the Higher Regional Court in Düsseldorf. Before Christmas, the patent pool MPEG LA obtained and enforced four judgments for patent infringement at the Regional Court in Düsseldorf. As a result, ZTE Germany stopped selling mobile telephones via its website. It appears this sales ban is now over. ZTE had appealed against the four first instance judgments. These and all other infringement and nullity suits have been withdrawn by the parties. In total, MPEG LA sued the Chinese company over six patents. Two infringement proceedings had been suspended by the Regional Court. According to sources, the companies were engaged in intensive negotiations since the beginning of 2019. The settlement is therefore not unexpected. The details, however, are unknown. Given the proceedings, it is unlikely that the patent pool has deviated significantly from its licensing conditions. In the past, MPEG LA has always worked with a standard licence agreement signed by almost 2,250 companies. Only two weeks ago, Huawei agreed to a settlement with MPEG LA at the standard conditions. The patent pool had sued both Huawei and ZTE simultaneously in Düsseldorf with equal success. Both disputes concern the video coding standard AVC/H.264. The technology is used to play videos on various end devices, including the mobile phones offered by Huawei and ZTE. MPEG LA had sued both companies only in Germany. The dispute concerned whether the pool licences for AVC video compression technology actually comply with FRAND rules. Huawei challenged this and demanded separate licences from the respective pool members. The plaintiffs rejected the demand due to fear that additional individual licences would undermine the pool licences. At the beginning of the dispute, more than 2,250 pool licences had already been granted to around 90% of market participants, demonstrating that the licences comply with antitrust law. Furthermore, the plaintiffs argue it is unfair to start issuing separate licences to individual users. ZTE chose a different defence strategy. During the process, ZTE Germany showed itself willing to take the pool licence. The plaintiffs demanded that the Chinese parent company sign the licence agreements. But the court ordered that the parent company must agree on the pool licence although the latter was not the defendant in the proceedings. Düsseldorf Regional Court held that the licences offered by MPEG LA are fair, reasonable and non-discriminatory. ZTE was advised by two different teams in the dispute. Some of the proceedings were conducted by Taliens with patent attorney Benjamin Fechner, the others by a mixed team of lawyers and patent attorneys from Vossius & Partner. Like Hogan Lovells, Taliens and Vossius are among ZTE’s core counsel in patent litigation in Germany. Cohausz & Florack partner Gottfried Schüll and Krieger Mes partner Axel Verhauwen, have for many years advise the patent pool in patent litigation in Germany. Read more about the background and the patent firms involved in the disputes against ZTE and Huawei here and here.